In Olevik v. State, ____ Ga. ____, 806 S.E.2d 505 (2017), [also known as Plevik v. State] the Supreme Court of Georgia overruled dozens of prior appellate cases in concluding that the Georgia Constitution’s protection against compelled self-incrimination protects against compelled breath tests. In Georgia, this concerns a post-arrest request (under Georgia implied consent law) for one or more types of forensic tests. Breath, blood or urine can be the type of test demanded. In the Olevik case, new analysis was undertaken of the Georgia Constitution, within Art. 1, Section 1, Paragraph 16. In the State Constitution, an arrested DUI suspect has the right to refuse to submit to such post-arrest testing of breath alcohol, because alcohol-laced breath — being derived from deep lung air deep within the human body — requires physical acts to produce. The resulting “evidence” from a forensic, breath-alcohol device test, is the sole evidence in the DUI-alcohol per se (over the legal limit) case. This is tantamount to “testimony,” in Georgia. Producing this TYPE of test undeniably requires multiple, coordinated “acts” from the arrested person’s body. The venerable state constitutional provision in Georgia has consistently been interpreted, for over 150 years, to apply to any “act,” regardless how slight, that is exacted by post-arrest police demands or compulsion, once the person is clearly in custody. When implied consent is read to a suspect in Georgia, any refusal to be tested can lead to an administrative license suspension and possible loss of the ability to drive in Georgia, subject to certain rights to appeal or (for SOME Georgia licensees), the right to install an ignition interlock device and obtain a 12-month limited permit. While custodial interrogation without Miranda rights is universally accepted to be a requirement, the current Georgia implied consent law, as contained in the written notice under OCGA 40-5-67.1(b), lacks any semblance of what is contained in the five sentences of a Miranda warning. This is true for all three versions of implied consent, for CMV (commercial motor vehicle operators), drivers under age 21, and for adult drivers age 21 and over. 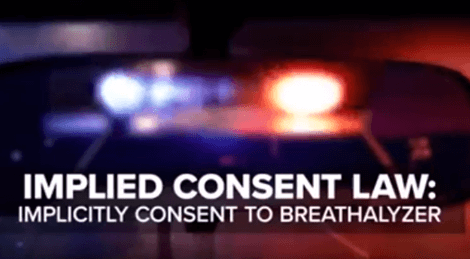 The GA implied consent law notice, as presently written, is defective, inasmuch as it incorrectly states that a person’s “refusal” to take a breath test will be used against the detained person at trial. Olevik has ruled that this is not true. Additionally, for almost 50 years, Georgia appellate courts have ruled that implied consent laws are in derogation of common law, and (therefore) must be strictly construed against the State. So, the implied consent statute in Georgia fails to notify the detained person of at least what a Miranda advisement communicates to post-arrest detainees who are being asked to permit police to allow post-arrest, custodial interrogation. That deficiency in the post-arrest advisement deprives a DUI suspect (who is being asked to ACT by blowing into an Intoxilyzer 9000) of the ability to give a knowing, voluntary consent. Therefore, the Olevik case establishes that a DUI suspect physically acting, pursuant to a police officer’s post-arrest demands to produce deep lung air through “acts,” is tantamount to demanding post-arrest testimony. 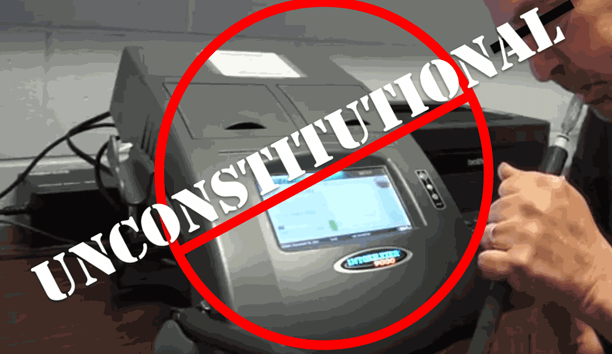 Breath testing, but not blood or urine testing, is a protected act, under the Georgia Constitution. Since Olevik has declared that alcohol breath testing is a category of “testimony,” Paragraph XVI of the Georgia Constitution protects accused drunk drivers from engaging in these self-incriminating acts. 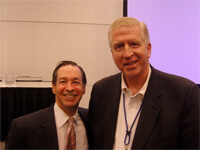 Legal news reports of the Olevik decision were the shot heard around the world, including Atlanta television reports. Georgia’s Constitution has now been rightly extended to preclude post-arrest, non-consensual breath alcohol tests, without the benefit of Miranda Rights. The FULL text of the important Olevik v. GA case is set forth below, for you to read. As you read through it, you will understand WHY you need the best DUI lawyer for your DUI in Georgia. The Georgia Constitution protects each of us from being forced to incriminate ourself. Unlike the similar right guaranteed by the Fifth Amendment to the U.S. Constitution, this state constitutional protection applies to more than mere testimony; it also protects us from being forced to perform acts that generate incriminating evidence. This case calls this Court to decide whether this state constitutional protection prohibits law enforcement from compelling a person suspected of DUI to blow their deep lung air into a breathalyzer. A nearly unbroken line of precedent dating back to 1879 leads us to conclude that it does, although the appellant here still loses because the language of the implied consent notice statute he challenges is not per se coercive. Frederick Olevik was convicted of DUI less safe, failure to maintain a lane, and no brake lights.1 Olevik appeals from his DUI conviction, challenging the denial of his motion to suppress the results of a state-administered breath test on the grounds that the implied consent notice statute, OCGA § 40-5-67.1 (b), is unconstitutional on its face and as applied to him. Olevik argues that his right against compelled self-incrimination preserved by the Georgia Constitution was implicated when law enforcement asked him to expel deep lung air into a breathalyzer, that the materially misleading language of the implied consent notice is coercive per se and in fact did compel him to perform this act, and thus the admission of his breath test results violated his right against compelled self-incrimination under the Georgia Constitution and his due process rights. We agree with Olevik that submitting to a breath test implicates a person’s right against compelled self-incrimination under the Georgia Constitution, and we overrule prior decisions that held otherwise. We nevertheless reject Olevik’s facial challenges to the implied consent notice statute, because the language of that notice is not per se coercive. Our previous decisions prevented the trial court from fully considering Olevik’s argument that, based on a totality of the circumstances in this case, the language of the implied consent notice actually coerced him to incriminate himself. Nevertheless, because Olevik offered the trial court no evidence in support of his claim beyond the mere language of the statute (which, standing alone, is not coercive), he could not prevail on remand and so we affirm. Before proceeding to the legal issues Olevik raises, we begin with a brief overview of Georgia’s DUI laws. We then turn to the factual context of this case. Georgia law requires you to submit to state administered chemical tests of your blood, breath, urine, or other bodily substances for the purpose of determining if you are under the influence of alcohol or drugs. If you refuse this testing, your Georgia driver’s license or privilege to drive on the highways of this state will be suspended for a minimum period of one year. Your refusal to submit to that required testing may be offered into evidence against you at trial. If you submit to testing and the results indicate an alcohol concentration of 0.08 grams or more, your Georgia driver’s license or privilege to drive on the highways of this state may be suspended for a minimum period of one year. After first submitting to the required state test, you are entitled to additional chemical tests of your blood, breath, urine, or other bodily substances at your own expense and from qualified personnel of your own choosing. Will you submit to the state administered chemical test of your (designate which tests) under the implied consent law? OCGA § 40-5-67.1 (b) (2). The facts are largely undisputed. After observing that Olevik failed to maintain his lane while driving and had an inoperable brake light, police initiated a traffic stop. During the stop, police observed that Olevik’s eyes were bloodshot and watery, his speech was slow, and he smelled strongly of alcohol. Olevik admitted to the police that he had consumed four or five beers prior to driving. He agreed to undergo field sobriety tests and exhibited six out of six clues on the horizontal gaze nystagmus test. The walk-and-turn and one-leg-stand tests were not conducted because Olevik had certain physical limitations. After Olevik also tested positive for alcohol on a portable alco-sensor machine, police arrested Olevik and read him the statutorily mandated, age-appropriate implied consent notice. Olevik agreed to submit to a state-administered breath test, the results of which revealed that he had a BAC of 0.113. In support of his motion to suppress the breath test results, Olevik stipulated that the officers were not threatening or intimidating in requesting the breath test. He nevertheless argued that his consent to the test was invalid because the language of the implied consent notice was misleading, coercing him to take the test in violation of his right against compelled self-incrimination. After several hearings, the trial court denied Olevik’s motion to suppress, concluding that his right against compelled self-incrimination was not violated because he voluntarily consented to the breath test. The court found him guilty of the charged offenses following a bench trial. Olevik then brought this appeal. 2. The Georgia Constitution’s right against compelled self-incrimination applies to breath tests. On appeal, Olevik argues that the trial court erred in denying his motion to suppress because the implied consent notice is unconstitutional on its face and as applied, coercing him to submit to a breath test in violation of his right against compelled self-incrimination under the Georgia Constitution. As Olevik conceded at oral argument, our decision in Klink v. State, 272 Ga. 605, 533 S.E.2d 92 (2000), precludes his claims. 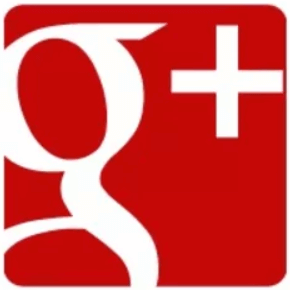 But recent decisions of the Supreme Court of the United States and this Court have shaken the analytical underpinnings of Klink, and so, as Olevik urges us to do, we reexamine whether Klink remains good law. See Kendrick v. State, 335 Ga. App. 766, 770 n.3, 782 S.E.2d 842 (2016) (“[S]ubsequent development of the law [may have] substantially eroded Klink’s analytical foundation[.]”). We conclude that Klink was wrongly decided at least to the extent that it concluded that a breath test did not implicate the state constitutional right against compelled self-incrimination and, after determining that stare decisis does not counsel preserving Klink, overrule it to that extent. (a) Klink’s foundation has been undermined. In Klink, we upheld the implied consent notice statute against claims indistinguishable from Olevik’s. We did so on the basis that “compelling a defendant to submit to [blood and] breath testing [is not] unconstitutional under Georgia law[,]” and thus “[t]he right to refuse to submit to state administered testing is not a constitutional right, but one created by the legislature.” Klink, 272 Ga. at 606 (1), 533 S.E.2d 92. Klink relied on two prior decisions—Allen v. State, 254 Ga. 433, 330 S.E.2d 588 (1985) and Green v. State, 260 Ga. 625, 398 S.E.2d 360 (1990)—for these conclusions. In Allen, we held that, “[i]n Georgia, the state may constitutionally take a blood sample from a defendant without his consent. Our ‘Implied Consent Statute’ thus grants a suspect an opportunity, not afforded him by our constitution, to refuse to take a blood-alcohol test.” 254 Ga. at 434 (1) (a), 330 S.E.2d 588 (citations omitted). And in Green, we held that urine testing did not violate the right against self-incrimination because it was merely “the use of a substance naturally excreted from the human body.” 260 Ga. at 627 (2), 398 S.E.2d 360. We went on in Klink to explain that the implied consent notice did not violate the Due Process Clause because “[t]he choice provided by the statute at question is not coercive because it is not ‘so painful, dangerous, or severe, or so violative of religious beliefs’ that no real choice exists.” Id. (quoting South Dakota v. Neville, 459 U.S. 553, 563, 103 S.Ct. 916, 74 L.Ed.2d 748 (1983)). Moreover, we explained, because the General Assembly created the right to refuse the test, the General Assembly’s limitation of that right through the implied consent language was unobjectionable. Id. Klink’s holding rests in part on cases that are not good law. 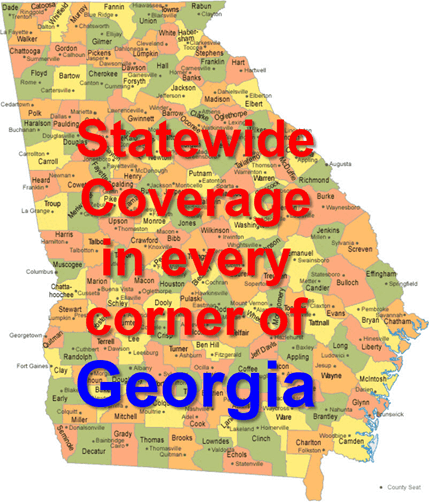 For the proposition that the Georgia Constitution does not protect citizens from compelled blood testing, Klink relied on Allen, which in turn relied on Strong v. State, 231 Ga. 514, 202 S.E.2d 428 (1973). Allen cited Strong for the principle that “the state may take a blood sample from a defendant without his consent.” Allen, 254 Ga. at 434 (1) (a), 330 S.E.2d 588. 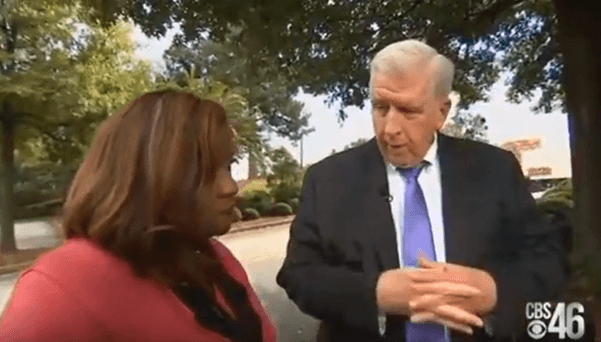 Allen’s pronouncement that “the state may take a blood sample from a defendant without his consent” was an accurate assessment of Strong, but we now understand it not to be an accurate statement of the law. As has been made clear in more recent decisions, Strong’s analysis concerning warrantless blood tests was incorrect.2 In Birchfield, ––– U.S. at ––––, 136 S.Ct. 2160, the Supreme Court of the United States explained that the natural dissipation of alcohol from the bloodstream is not a per se exigent circumstance always justifying the warrantless taking of a blood sample, and concluded that although breath tests fall within the search incident to arrest exception to the warrant requirement, blood tests do not. And even before Birchfield, we held in Williams v. State, 296 Ga. 817, 771 S.E.2d 373 (2015), that exigent circumstances are not categorically present in every DUI case and reiterated that the constitutional protections under Article I, Section I, Paragraph XIII (“Paragraph XIII”) of the Georgia Constitution, like the Fourth Amendment which contains similar language, require the extraction of blood to be conducted either pursuant to a search warrant or under a recognized exception to the warrant requirement. Williams, 296 Ga. at 821, 771 S.E.2d 373. We ruled that the only exception to the warrant requirement at issue in Williams was the purported consent of the suspect, disapproving Strong to the extent it held that the natural dissipation of blood categorically supports a finding of an exigent circumstance justifying a warrantless search. Williams, 296 Ga. at 821, 771 S.E.2d 373. We remanded the case for a determination of the voluntariness of the defendant’s consent because merely submitting to a state-administered test after having been read the implied consent notice did not per se establish voluntary consent for constitutional purposes. Id. at 821-823, 771 S.E.2d 373. Thus, Georgians do have a constitutional right to refuse to consent to warrantless blood tests, absent some other exception to the warrant requirement. Because we now know that Klink erred in holding that the Georgia Constitution does not preserve such a right, doubt naturally arises about the soundness of our parallel statement in Klink that the Georgia Constitution also does not protect against compelled breath testing. Klink, 272 Ga. at 606 (1), 533 S.E.2d 92. We take this opportunity to revisit Klink’s analysis regarding the applicability to breath tests of both the state constitutional right against unreasonable searches and seizures and the state constitutional right against compelled self-incrimination. The latter of these rights requires a more extended analysis. (b) Neither the Fourth Amendment to the U.S. Constitution nor Paragraph XIII of the Georgia Constitution prohibits warrantless breath tests as searches incident to arrest. The Fourth Amendment and Paragraph XIII of the Georgia Constitution protect against unreasonable searches and seizures. Cooper v. State, 277 Ga. 282, 285 (III), 587 S.E.2d 605 (2003). A warrantless search is per se unreasonable unless it falls within a recognized exception to the warrant requirement. Williams, 296 Ga. at 819, 771 S.E.2d 373. A warrant is not needed where consent is given, and in some cases the doctrine of search incident to lawful arrest also obviates the need for a warrant. Arizona v. Gant, 556 U.S. 332, 338, 129 S.Ct. 1710, 173 L.Ed.2d 485 (2009); Williams, 296 Ga. at 821, 771 S.E.2d 373. Here, Olevik’s claim that the language of the implied consent notice rendered his consent invalid is not cognizable on Fourth Amendment and Paragraph XIII grounds. The Supreme Court of the United States concluded in Birchfield that the Fourth Amendment permits warrantless breath tests as searches incident to a DUI arrest. Birchfield, ––– U.S. at ––––, 136 S.Ct. 2160. Because the search incident to arrest exception to the warrant requirement applies to breath tests in that context, there is no need to obtain consent for a breath test to support a warrantless search for Fourth Amendment purposes after a valid arrest. Consequently, even assuming that the implied consent notice was coercive, securing a breath test after arrest based on reading the implied consent notice would not violate the Fourth Amendment, because the warrantless breath test is permitted as a search incident to arrest. (c) Paragraph XVI, properly understood, applies to breath tests. The Georgia Constitution provides that “[n]o person shall be compelled to give testimony tending in any manner to be self-incriminating.” Ga. Const. 1983, Art. I, Sec. I, Par. XVI (“Paragraph XVI”). If we were construing Paragraph XVI in the first instance, we might conclude that the scope of Georgia’s right against compelled self-incrimination is coterminous with the right guaranteed by the Fifth Amendment to the United States Constitution, which is limited to evidence of a testimonial or communicative nature. See Muhammad v. State, 282 Ga. 247, 250-251 (3), 647 S.E.2d 560 (2007); see also Schmerber v. California, 384 U.S. 757, 764, 86 S.Ct. 1826, 16 L.Ed.2d 908 (1966) (right against compelled self-incrimination bars compelling “communications” or “testimony,” but “compulsion which makes a suspect or accused the source of real or physical evidence does not violate it”). But we are not meeting Paragraph XVI for the first time; this constitutional provision has been carried over from prior constitutions, and it has brought with it a long history of interpretation. The State argues that our historical interpretation of this provision is wrong, both as a matter of text and in the light of the legislative history of a previous constitution. Nevertheless, this history compels our conclusion today. (I) Principles of constitutional interpretation counsel us to construe Paragraph XVI in the light of case law interpreting similar text prior to ratification of the 1983 Constitution. We interpret a constitutional provision according to the original public meaning of its text, which is simply shorthand for the meaning the people understood a provision to have at the time they enacted it. This is not a new idea. Indeed, there are few principles of Georgia law more venerable than the fundamental principle that a constitutional provision means today what it meant at the time that it was enacted. “[T]he Constitution, like every other instrument made by men, is to be construed in the sense in which it was understood by the makers of it at the time when they made it. To deny this is to insist that a fraud shall be perpetrated upon those makers or upon some of them.” Padelford, Fay & Co. v. Savannah, 14 Ga. 438, 454 (1854) (emphasis in original). “A provision of the constitution is to be construed in the sense in which it was understood by the framers and the people at the time of its adoption.” Collins v. Mills, 198 Ga. 18, 22, 30 S.E.2d 866 (1944) (citing South Carolina v. United States, 199 U.S. 437, 448, 26 S.Ct. 110, 50 L.Ed. 261 (1905) (“The Constitution is a written instrument. As such its meaning does not alter. That which it meant when adopted, it means now.”), overruled on other grounds by Garcia v. San Antonio Metro. Transit Auth., 469 U.S. 528, 105 S.Ct. 1005, 83 L.Ed.2d 1016 (1985)). In determining the original public meaning of a constitutional provision, we consider the plain and ordinary meaning of the text, viewing it in the context in which it appears and reading the text in its most natural and reasonable manner. See Georgia Motor Trucking Assn. v. Ga. Dept. of Revenue, 301 Ga. 354, 356 (2), 801 S.E.2d 9 (2017). And although the text is always our starting point for determining original public meaning (and often our ending point, as well), the broader context in which that text was enacted may also be a critical consideration. “Constitutions, like statutes, are properly to be expounded in the light of conditions existing at the time of their adoption.” Clarke v. Johnson, 199 Ga. 163, 166, 33 S.E.2d 425 (1945) (citation and punctuation omitted); see also DeJarnette v. Hosp. Auth. of Albany, 195 Ga. 189, 205 (7), 23 S.E.2d 716 (1942) (the meaning and effect of constitutional amendments “is to be determined in connection, not only with the common law and the constitution, but also with reference to other statutes and the decisions of the courts”). [R]egardless of the interpretation we might now place on these words, it is clear that our courts have in the past given them the meaning the majority opinion now gives them. It is this interpretation of these words which was incorporated into the Constitution of 1945. A constitutional provision is to be construed in the sense in which it was understood by the framers and the people at the time of its adoption. Where the language in our constitution does not indicate an intention to declare some new principle, sound construction requires that it be construed to have intended no more than merely to state the law as it existed at that time. The interpretation we might give these words today is unimportant. Only that interpretation incorporated into the Constitution concerns us in this particular case. McCafferty v. Med. Coll. of Ga., 249 Ga. 62, 70, 287 S.E.2d 171 (1982) (Gregory, J., concurring specially) (citations omitted), overruled on other grounds by Self v. City of Atlanta, 259 Ga. 78, 79 (1), 377 S.E.2d 674 (1989) (adopting special concurrence). See also Griffin v. Vandegriff, 205 Ga. 288 (1), 53 S.E.2d 345 (1949); Scalia & Garner, Reading Law: The Interpretation of Legal Texts 322-326 (West 2012) (explaining the prior-construction canon that if a provision is enacted with words or phrases that had previously received authoritative construction by a jurisdiction’s court of last resort, the words and phrases are to be understood according to that construction). Indeed, we have even previously applied this principle to the self-incrimination provision of the 1945 Constitution. Because many “decisions of this [C]ourt had construed the word ‘testimony’ to embrace any evidence” even before “the identical clause containing this word was written into the 1945 Constitution,” we concluded that “the framers of that Constitution intended for it to have the meaning theretofore given it by construction.” Aldrich v. State, 220 Ga. 132, 135, 137 S.E.2d 463 (1964). how, putting aside the text, are we to figure out what “intention” was in the head of the legislators when they voted? And are we searching for the intention of the entire legislature? A majority of the members who voted? Just the key members or sponsors of the bill or others who spoke or wrote about the bill at some point before (or after) passage, in some way that was publicly reported? What if no majority of members voted on it with the same intention? And what of the intention of the Governor who signed the bill? Our objective focus is even more important when we interpret the Constitution. Unlike ordinary legislation, the people—not merely elected legislators—are the “makers” of the Georgia Constitution. See Ga. Const. of 1983, Art. X, Sec. I, Par. II (proposals to amend or replace constitution require a vote of the people); see also Wheeler v. Bd. of Trs., 200 Ga. 323, 333 (3), 37 S.E.2d 322 (1946) (“The fiat of the people, and only the fiat of the people, can breathe life into a constitution.”). If the subjective intent of one legislator out of 236 casts little light on the meaning of ordinary legislation, such subjective views can hardly carry more weight for a Constitution that had hundreds of thousands of citizens who voted on its ratification. See Ga. L. 1983, p. 2070 (1983 Constitution ratified with 567,663 yes votes and 211,342 no votes). That said, considering what the framers of our Constitution understood the words they selected to mean can be a useful data point in determining what the words meant to the public at large. See Gwinnett County School Dist. v. Cox, 289 Ga. 265, 307-308, 710 S.E.2d 773 (2011) (Nahmias, J., dissenting) (“In construing our Constitution, we ․ sometimes look to the understanding expressed by people directly involved in drafting the document․ The best evidence [of their intent], of course, is not what various framers said to each other at various points during the process, but what they ultimately drafted together—the actual Constitution that the citizens of Georgia then ratified.”). (ii) Paragraph XVI has a nearly unbroken history of application to compelled acts, not merely testimony. Applying these principles, we construe the right against compelled self-incrimination preserved by Paragraph XVI in the light of the meaning of Paragraph XVI’s materially identical ancestors. The right against compelled self-incrimination achieved constitutional status in Georgia for the first time in the 1877 Constitution. Paragraph XVI provides that “[n]o person shall be compelled to give testimony tending in any manner to be self-incriminating”; the 1877 provision provided that “[n]o person shall be compelled to give testimony tending in any manner to criminate himself.” Ga. Const. 1877, Art. I, Sec. I, Par. VI. Other than replacing the archaic phrase “to criminate himself” 5 with the more modern phrase “to be self-incriminating,” Paragraph XVI is identical to the constitutional provision adopted in 1877. A case we decided just two years after the 1877 Constitution was adopted (and have never since overruled) is thus critical to the understanding of the scope of the right against compelled self-incrimination. In Day v. State, 63 Ga. 668, 669 (2) (1879), we held that this constitutional right protected a defendant from being compelled to incriminate himself by acts, not merely testimony. Although Day did not explain its broad interpretation,6 see id., several years later we more fully explained the basis for such a broad scope. In Calhoun v. State, 144 Ga. 679, 680-681, 87 S.E. 893 (1916), we explained that the self-incrimination provision of the 1877 Georgia Constitution was modeled after the common law principle that “no man is bound to accuse himself of any crime or to furnish any evidence to convict himself of any crime [. ]” Recognizing that the constitutional guaranty against compelled self-incrimination was as broad as the common law right from which it was derived, we noted that the right “protects one from being compelled to furnish evidence against himself, either in the form of oral confessions or incriminating admissions of an involuntary character, or of doing an act against his will which is incriminating in its nature.” Id. at 681, 87 S.E. 893. The self-incrimination provision has been carried forward with no material change from the 1877 Constitution through several intervening constitutions to our current 1983 Constitution. See Ga. Const. 1945, Art. I, Sec. I, Par. VI (“No person shall be compelled to give testimony tending in any manner to criminate himself.”); Ga. Const. 1976, Art. I, Sec. I, Par. XIII (same); Ga. Const. 1983, Art. I, Sec. I. Par. XVI (“No person shall be compelled to give testimony tending in any manner to be self-incriminating.”). At no point through this history was the constitutional language changed to abrogate Day’s interpretation, nor did we reconsider Day. To the contrary, we have consistently and repeatedly applied the state constitutional protection against compelled self-incrimination in accord with Day. See, e.g., Brown v. State, 262 Ga. 833, 836 (10), 426 S.E.2d 559 (1993) (1983 Constitution); Raines v. White, 248 Ga. 406, 284 S.E.2d 7 (1981) (1976 Constitution); Aldrich, 220 Ga. at 135, 137 S.E.2d 463 (1945 Constitution); Blackwell v. State, 67 Ga. 76, 78-79 (1) (1881) (1877 Constitution). Thus, although Paragraph XVI refers only to testimony, its protection against compelled self-incrimination was long ago construed to also cover incriminating acts and, thus, is more extensive than the Supreme Court of the United States’ interpretation of the right against compelled self-incrimination guaranteed by the Fifth Amendment. But even if the State were right that Day (and all the other cases that have since followed it) misread the constitutional text, we are no longer governed by the 1877 Constitution that Day interpreted. Since issuing our decisions in Day (1879) and Calhoun (1916), the people of Georgia have adopted three new constitutions (1945, 1976, and 1983). Our current constitution adopted in 1983 contains self-incrimination language that is identical in all material respects to the language interpreted in Day and Calhoun. Thus, even if we were wrong in Day and Calhoun to extend the right against compelled self-incrimination beyond spoken and written statements, the subsequent ratifications of new constitutions with the same language are strongly presumed to have carried forward the interpretation of that language provided by Day and Calhoun. See Aldrich, 220 Ga. at 135, 137 S.E.2d 463 (framers of 1945 Construction intended for constitutional privilege against self-incrimination to have same meaning as that given by our construction in Day, Calhoun, and other cases). As we explained above, the adoption of a new constitution containing materially identical language already clearly and authoritatively construed by this Court is strongly presumed to have brought with that language our previous interpretation. This is so regardless of whether those holdings were well-reasoned at the time they were decided. The people of Georgia, by ratifying that constitutional text, ratified the scope of Paragraph XVI as Day explained it. (iii) Breathing deep lung air into a breathalyzer is a self-incriminating act that Paragraph XVI prevents the State from compelling. In contrast, the right against compelled self-incrimination is not violated where a defendant is compelled only to be present so that certain incriminating evidence may be procured from him. Batton v. State, 260 Ga. 127, 130 (3), 391 S.E.2d 914 (1990).9 Consequently, we have ruled that the right is not violated by removing clothing from a defendant. See, e.g., id. (taking shoes from defendant); Drake v. State, 75 Ga. 413, 414-415 (2) (1885) (taking blood-stained clothes from defendant); Franklin v. State, 69 Ga. 36, 43-44 (3) (1882) (pulling boots off a defendant). Similarly, the right is not violated when evidence is taken from a defendant’s body or photographs of the defendant are taken. See, e.g., Quarterman v. State, 282 Ga. 383, 386 (4), 651 S.E.2d 32 (2007) (statutory requirement that convicted felon provide DNA sample did not violate his right against compelled self-incrimination because it does not force the convicted felon to remove incriminating DNA evidence from his body himself but only to submit to having the evidence removed); Ingram v. State, 253 Ga. 622, 634 (7), 323 S.E.2d 801 (1984) (right was not violated by requiring defendant to strip to the waist to allow police to photograph tattoos on his body); State v. Thornton, 253 Ga. 524, 525 (2), 322 S.E.2d 711 (1984) (taking impression of defendant’s teeth did not compel defendant to perform an act); Strong, 231 Ga. at 519, 202 S.E.2d 428 (withdrawal of blood from unconscious defendant did not violate right); Creamer v. State, 229 Ga. 511, 517-518 (3), 192 S.E.2d 350 (1972) (right not violated where defendant required to undergo surgery to remove a bullet from his body because the defendant was not forced to remove the bullet himself). In other instances, even if the right was implicated, we concluded that no violation had occurred where the defendant consented to the act rather than being compelled. See, e.g., Scott v. State, 274 Ga. 476, 478 (2) (b), 554 S.E.2d 488 (2001) (accused’s right against compelled self-incrimination was not violated when he agreed to hold up sleeve to allow police to photograph tattoos on his arm); Whippler v. State, 218 Ga. 198, 203 (6), 126 S.E.2d 744 (1962) (defendant’s right against compelled self-incrimination not violated where he voluntarily and without objection cooperated in giving fingerprints to police); Foster v. State, 213 Ga. 601, 604 (3), 100 S.E.2d 426 (1957) (suspect’s right was not violated when he agreed to go with police to the crime scene for identification purposes); see also State v. J.T., 155 Ga. App. 812, 273 S.E.2d 214 (1980) (student complied with assistant principal’s instruction to “empty her pockets”). In sum, Paragraph XVI prohibits compelling a suspect to perform an act that itself generates incriminating evidence; it does not prohibit compelling a suspect to be present so that another person may perform an act generating such evidence. See Creamer, 229 Ga. at 517 (3), 192 S.E.2d 350 (“You cannot force a defendant to act, but you can, under proper circumstances, produce evidence from his person.”). And, like other constitutional rights, a suspect may consent to take actions that Paragraph XVI would prevent the State from compelling. 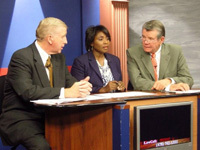 Having set forth the scope of Georgia’s right against compelled self-incrimination, we now consider whether Klink was correct to hold that compelling a suspect to submit to a breath test does not violate that right. The answer to this question depends on the details of the test. The police officer who administered the test in this case testified that a proper breath test requires deep lung breath, and that a suspect has to “blow sufficient volume to get the deep, inner-lung breath” to provide a sufficient sample for testing. Deep lung or alveolar air provides the most reliable sample because it is in the alveolar region of the lungs where “alcohol vapor and other gases are exchanged between blood and breath.” Birchfield, ––– U.S. at ––––, 136 S.Ct. 2160. As the Supreme Court of the United States has recognized, obtaining this deep lung breath requires the cooperation of the person being tested because a suspect must blow deeply into a breathalyzer for several seconds in order to produce an adequate sample. See id. As the State conceded at oral argument, merely breathing normally is not sufficient. The State argues that no compelled act is involved because a breath test only captures a “substance” naturally excreted by the human body, in the same way that collecting a urine sample does not violate a defendant’s right against compelled self-incrimination. See Green, 260 Ga. at 627 (2), 398 S.E.2d 360; see also Robinson v. State, 180 Ga. App. 43, 50-51 (3), 348 S.E.2d 662), reversed on other grounds by 256 Ga. 564, 350 S.E.2d 464 (1986) (concluding that “procurement” of defendant’s urine did not violate the defendant’s right because there was no evidence that he was “forced” to produce the urine sample). But Green and Robinson do not apply here.10 Although a person generally expels breath from his body involuntarily and automatically, the State is not merely collecting breath expelled in a natural manner. For a breath test, deep lung breath is required. It is true that “all the air that is breathed into a breath analyzing machine, including deep lung air, sooner or later would be exhaled even without the test.” Birchfield, ––– U.S. at ––––, 136 S.Ct. 2160. If the State sought to capture and test a person’s naturally exhaled breath, this might well be a different case. But this is not how a breath test is performed. Sustained strong blowing into a machine for several seconds requires a suspect to breathe unnaturally for the purpose of generating evidence against himself. Indeed, for the State to be able to test an individual’s breath for alcohol content, it is required that the defendant cooperate by performing an act. See Birchfield, ––– U.S. at ––––, 136 S.Ct. 2160 (“Measurement of BAC based on a breath test requires the cooperation of the person being tested.”). Compelling a defendant to perform an act that is incriminating in nature is precisely what Paragraph XVI prohibits. Calhoun, 144 Ga. 679, 87 S.E. at 893 (the right against compelled self-incrimination protects one from “doing an act against his will which is incriminating in its nature”). To the extent we said otherwise in Klink, we did so with no analysis. With a mere citation to Green’s “natural excretion” principle, we summarily concluded in Klink that “compelling a defendant to submit to breath testing [is not] unconstitutional under Georgia law.” Klink, 272 Ga. at 606 (1), 533 S.E.2d 92. As discussed above, Green cannot support a conclusion that the forced and unnatural breathing required here does not implicate a person’s right against compelled self-incrimination. Klink’s reasoning, therefore, is unsound. But because Klink is still binding precedent, we must decide whether the doctrine of stare decisis nevertheless counsels against overruling Klink. Under the doctrine of stare decisis, courts generally stand by their prior decisions, because “it promotes the evenhanded, predictable, and consistent development of legal principles, fosters reliance on judicial decisions, and contributes to the actual and perceived integrity of the judicial process.” State v. Hudson, 293 Ga. 656, 661, 748 S.E.2d 910 (2013) (citation omitted). Stare decisis, however, is not an “inexorable command.” Id. “Courts, like individuals, but with more caution and deliberation, must sometimes reconsider what has been already carefully considered, and rectify their own mistakes.” City of Atlanta v. First Presbyterian Church, 86 Ga. 730, 733, 13 S.E. 252 (1891). In reconsidering our prior decisions, we must balance “the importance of having the question decided against the importance of having it decided right.” State v. Jackson, 287 Ga. 646, 658 (5), 697 S.E.2d 757 (2010) (emphasis in original). To that end, we have developed a test that considers the “the age of precedent, the reliance interests at stake, the workability of the decision, and, most importantly, the soundness of its reasoning.” Id. The soundness of a precedent’s reasoning is the most important factor. Id. We have also said that stare decisis carries less weight when our prior precedent involved the interpretation of the Constitution, which is more difficult than statutory interpretation for the legislative process to correct. See Ga. Dept. of Natural Resources v. Center for a Sustainable Coast, Inc., 294 Ga. 593, 601 (2), 755 S.E.2d 184 (2014). This doesn’t mean that we disregard stare decisis altogether, though; what it actually means is that the first stare decisis factor (soundness of reasoning) becomes even more critical. The more wrong a prior precedent got the Constitution, the less room there is for the other factors to preserve it. The stare decisis factors counsel that we overrule Klink. We already have established that the reasoning of Klink was unsound, cutting heavily in favor of overruling it. On the second factor, Klink was decided 17 years ago, and we have overruled decisions older than that. See, e.g., Woodard v. State, 296 Ga. 803, 808-814, 771 S.E.2d 362 (2015) (overruling 24-year-old interpretation of justification defense statute); Sustainable Coast, 294 Ga. at 601-602 (2), 755 S.E.2d 184 (reversing 19-year-old decision on sovereign immunity); Jackson, 287 Ga. at 659-60 (5), (6), 697 S.E.2d 757 (overruling nearly 29-year-old interpretation of felony murder statute). outweigh the countervailing interest that all individuals share in having their constitutional rights fully protected. If it is clear that a practice is unlawful, individuals’ interest in its discontinuance clearly outweighs any law enforcement entitlement to its persistence. The mere fact that law enforcement may be made more efficient can never by itself justify disregard of [constitutional rights]. Gant, 556 U.S. at 349-350, 129 S.Ct. 1710 (quoting Mincey v. Arizona, 437 U.S. 385, 393, 98 S.Ct. 2408, 57 L.Ed.2d 290 (1978) (punctuation omitted)). The remaining factor of workability is not reason enough to preserve Klink. Under Klink, compelled breath tests are permitted regardless of how coercively cooperation may have been obtained. By rejecting Klink, law enforcement may have to consider whether a suspect has validly waived their right against self-incrimination under the totality of the circumstances. We recognize that requiring this determination before administering a breath test is more difficult than simply waiting for an affirmative response after reading the implied consent notice. But this difficulty is not reason enough to persist in Klink’s constitutional error. Accordingly, we overrule Klink and other cases to the extent they hold that Paragraph XVI of the Georgia Constitution does not protect against compelled breath tests or that the right to refuse to submit to such testing is not a constitutional right.11 We next must decide whether Olevik’s claims prevail under the applicable law. 3. We reject Olevik’s facial and “as-applied” challenges to the implied consent notice. Olevik raises several challenges to OCGA § 40-5-67.1 (b) in claiming that he did not validly consent to the breath test. First, he argues that the statute is unconstitutionally coercive, both on its face and as applied, in violation of the Fourth, Fifth, and Fourteenth Amendments of the United States Constitution and Paragraph XIII of Georgia Constitution, because it is materially misleading and did not adequately inform him of his rights. Olevik also raises what he describes as an as-applied challenge to the implied consent notice statute, claiming that the notice language coerced him to submit to a breath test in violation of Paragraph XVI; this claim isn’t really a challenge to the statute itself, but is instead merely a claim that his breath test results are inadmissible. We reject Olevik’s facial challenges because the statute is not per se coercive. We reject his as-applied claim because he offers no basis for a finding of coercion beyond the language of the notice. (a) Olevik’s facial challenges fail. Olevik’s argument that OCGA § 40-5-67.1 (b) is facially coercive is essentially a claim that the implied consent notice is so misleading and inaccurate that no person can validly consent to a state-administered test once the notice has been read. Outside the First Amendment context, a plaintiff faces a difficult task in mounting a successful facial challenge to a statute, “because it requires one to establish that no set of circumstances exists under which the statute would be valid, i.e., that the law is unconstitutional in all of its applications, or at least that the statute lacks a plainly legitimate sweep.” Bello v. State, 300 Ga. 682, 686 (1), 797 S.E.2d 882 (2017) (punctuation and citation omitted); see also Blevins v. Dade Cty. Bd. of Tax Assessors, 288 Ga. 113, 118 (3), 702 S.E.2d 145 (2010). Where a statute has a “plainly legitimate sweep,” a facial challenge must fail. See Washington State Grange v. Washington State Republican Party, 552 U.S. 442, 449, 128 S.Ct. 1184, 170 L.Ed.2d 151 (2008). Olevik has failed to satisfy this exacting standard. (i) The implied consent notice is not per se coercive on its face. Olevik argues that the misleading language of the implied consent notice violates the due process guarantees of the United States and Georgia Constitutions.12 Specifically, Olevik argues that the implied consent notice inaccurately tells suspects that Georgia law requires them to submit to a state-administered chemical test and provides misleading information about the consequences for submitting or refusing to submit to a test. Before addressing Olevik’s specific arguments, we note that the implied consent statute has a “plainly legitimate sweep,” practically dooming Olevik’s facial challenge. All 50 States have adopted some form of an implied consent law that requires “motorists, as a condition of operating a motor vehicle within the State, to consent to BAC testing if they are arrested or otherwise detained on suspicion of a drunk-driving offense.” Birchfield, ––– U.S. at ––––, 136 S.Ct. 2160 (quoting Missouri v. McNeely, 569 U.S. 141, 161, 133 S.Ct. 1552, 185 L.Ed.2d 696 (2013) (punctuation omitted)). The Supreme Court of the United States has approved the “general concept of implied-consent laws that impose civil penalties and evidentiary consequences on motorists who refuse to comply.” Id. at ––––, 136 S.Ct. 2160. The Birchfield Court, however, struck down implied consent laws that impose criminal penalties for refusing to submit to blood testing. Id. at ––––, 136 S.Ct. 2160. Georgia’s implied consent statute does not impose criminal penalties for refusing to submit to chemical testing, squarely putting our implied consent notice within the category of statutes that the Supreme Court of the United States has deemed not unconstitutionally coercive. Aside from failing to show a lack of a legitimate sweep, Olevik has failed to demonstrate that the implied consent notice is unconstitutional in all of its applications. “In determining whether a defendant’s statement was voluntary as a matter of constitutional due process, a trial court must consider the totality of the circumstances.” Welbon v. State, 301 Ga. 106, 109 (2), 799 S.E.2d 793 (2017); see also State v. Chulpayev, 296 Ga. 764, 779 (3) (b), 770 S.E.2d 808 (2015) (violation of a statute rendering a confession inadmissible does not automatically amount to a constitutional violation). As we explain below in Division (3) (b), the totality of the circumstances test to determine the voluntariness of an incriminating statement or act for due process purposes is the same test used to determine the voluntariness of a consent to chemical testing in the DUI context. After our decision in Williams, mere acquiescence to a blood test after being read the implied consent notice is not per se voluntary consent to a warrantless search; the State must show that a suspect voluntary consented to a blood test under the totality of the circumstances. Williams, 296 Ga. at 822-823, 771 S.E.2d 373. Because evaluating whether self-incrimination was compelled depends on the totality of the circumstances, Olevik cannot establish that the implied consent notice is materially misleading and substantively inaccurate in every application such that the notice invariably compels submission to the requested breath test. For example, Olevik argues that the implied consent notice misinforms a defendant that he is required to submit to a state-administered chemical test without informing suspects about their right to refuse testing. By its plain terms, the first sentence of the notice (“Georgia law requires you to submit to state administered chemical tests”) tells a suspect that Georgia law requires him to take a chemical test of his blood, breath, urine, or other bodily substance. This warning is, of course, true in the sense that the implied consent law has provided that drivers have agreed to submit to chemical tests as a condition of having a driver’s license. If you don’t submit to a test, you lose your license. The implied consent notice also refers to the testing as “required” twice more. See OCGA § 40-5-67.1 (b) (2). Olevik would have us accept that every suspect would focus only on the notice’s repeated references to “required” testing at the exclusion of other language contained in the notice. But following the first instruction that “Georgia law requires you to submit to state administered chemical tests,” the notice states, “If you refuse this testing, your Georgia driver’s license or privilege to drive ․ will be suspended for a minimum period of one year.” The next sentence begins “Your refusal to submit to the required testing may be offered into evidence against you at trial.” After giving other information, the notice ends with, “Will you submit to the state administered chemical tests of your (designate which tests) under the implied consent law?” Because the notice refers to a right to refuse, advises suspects of the consequences for doing so, and concludes with a request to submit to testing, a reasonable suspect relying solely on the notice should understand that the State is asking for a suspect’s cooperation, rather than demanding it, and that they have a right to refuse to cooperate. Olevik next asserts that the notice is per se coercive because it contains misleading information about the consequences of taking a chemical test or refusing to do so. Specifically, Olevik observes that the notice warns suspects that a refusal to submit to testing will result in a license suspension and that a test result indicating a BAC of .08 grams or more only may result in a suspension. Olevik is correct that this information is not entirely accurate, as suspensions are mandated in either case. See OCGA § 40-5-67.1 (c) (providing that the Department of Public Safety “shall suspend” the license of a driver (21 or older) who has an alcohol concentration of 0.08 grams or more), (d) (the department “shall suspend” for a period of one year the license of a person who refuses to submit to a chemical test). But the mere fact that the notice misstates the likelihood of a license suspension does not, by itself, render the notice per se coercive regardless of other circumstances. We cannot say that the notice’s use of “may” instead of “shall” with respect to the likelihood of license suspension is likely to play a dispositive role in a reasonable person’s decision; when arrested and facing jail, the relative likelihood of also facing a civil administrative penalty may well recede into the background. Olevik also challenges OCGA § 40-5-67.1 (b)’s failure to advise suspects that the test results will be used against him at trial. But he concedes that the primary purpose of seeking the test is to collect evidence to support a criminal prosecution. Olevik points to no law requiring a full and explicit explanation of all possible consequences no matter how obvious.13 The Supreme Court of the United States has rejected the claim that the admission of evidence that a defendant refused to take a chemical test violated a defendant’s due process rights where he was not fully warned of the consequences of refusal. See Neville, 459 U.S. at 564-566, 103 S.Ct. 916. In rejecting a claim that an implied consent statute, similar to the one at issue here, was coercive, the Neville Court concluded that the statute did not create a situation “so painful, dangerous, or severe, or so violative of religious beliefs, that almost inevitably a person would prefer ‘confession’ ” via submission to a chemical test. Neville, 459 U.S. at 563, 103 S.Ct. 916. Olevik’s facial claim rests on the premise that the notice would deceive a reasonable person. On the record before us, although Olevik points out deficiencies in the implied consent notice,14 there is no evidence that OCGA § 40-5-67.1 (b) creates widespread confusion about drivers’ rights and the consequences for refusing to submit to a chemical test or for taking and failing that test. Because we cannot assume that the implied consent notice standing alone will coerce reasonable people to whom it is read, Olevik’s facial challenge fails. See Washington State Grange, 552 U.S. at 457, 128 S.Ct. 1184 (rejecting facial challenge to primary election system initiative because each of the plaintiffs’ arguments “rests on factual assumptions about voter confusion, and each fails for the same reason: In the absence of evidence, we cannot assume that Washington’s voters will be misled”). (b) Olevik’s “as-applied” self-incrimination claim also fails. Olevik also raises an “as-applied” challenge to the implied consent notice, arguing that the application of the statute violated his due process rights. Regardless of whether the reading of a notice compels a defendant to incriminate himself, it is not the reading of the notice that would constitute a due process violation or a violation of the right against compelled self-incrimination. Instead, it is the admission of a compelled breath test that would amount to a constitutional violation. See Chavez v. Martinez, 538 U.S. 760, 767, 123 S.Ct. 1994, 155 L.Ed.2d 984 (2003) (“Statements compelled by police interrogations of course may not be used against a defendant at trial, but it is not until their use in a criminal case that a violation of the Self-Incrimination Clause occurs.” (citation omitted; emphasis supplied)); Payne v. Arkansas, 356 U.S. 560, 561, 78 S.Ct. 844, 2 L.Ed.2d 975 (1958) (the use of a defendant’s confession obtained by coercion, whether physical or mental, violates due process). Accordingly, this claim isn’t really a challenge to the statute, but is instead a challenge to the admission of the results of the breath test against him. the age of the accused, his education, his intelligence, the length of detention, whether the accused was advised of his constitutional rights, the prolonged nature of questioning, the use of physical punishment, and the psychological impact of all these factors on the accused. In determining voluntariness, no single factor is controlling. Dean v. State, 250 Ga. 77, 80 (2) (a), 295 S.E.2d 306 (1982); see also Schneckloth, 412 U.S. at 226, 93 S.Ct. 2041 (noting that in considering whether a defendant voluntarily incriminated himself, the Court “determined the factual circumstances surrounding the confession, assessed the psychological impact on the accused, and evaluated the legal significance of how the accused reacted”). Just as the voluntariness of consent to search includes an assessment of the “psychological impact of all the factors on a defendant,” a significant factor in a due process inquiry is whether a deceptive police practice caused a defendant to confess or provide an incriminating statement. See United States v. Lall, 607 F.3d 1277, 1285 (11th Cir. 2010) (“While we look to the totality of the circumstances to determine the voluntariness of [a defendant’s] confession, a significant aspect of that inquiry here involves the effect of deception in obtaining a confession.”); Chulpayev, 296 Ga. at 779 (3) (a), 770 S.E.2d 808 (citing Lall, 607 F.3d at 1285)). And although “knowledge of the right to refuse consent is one factor to be taken into account, the government need not establish such knowledge as the sine qua non of an effective consent.” State v. Tye, 276 Ga. 559, 560 (1), 580 S.E.2d 528 (2003) (citation and punctuation omitted); see also Schneckloth, 412 U.S. at 227, 93 S.Ct. 2041 (“While the state of the accused’s mind, and the failure of the police to advise the accused of his rights, were certainly factors to be evaluated in assessing the ‘voluntariness’ of an accused’s responses, they were not in and of themselves determinative.”). This totality test is not foreign to trial courts. Trial courts already use the test to determine the voluntariness of a defendant’s consent to chemical testing as an exception to the warrant requirement under the Fourth Amendment and Paragraph XIII. The trial court here in fact considered the totality of the circumstances in concluding that Olevik consented to the breath test under Fourth Amendment principles. Although the trial court erred in in concluding that Olevik’s constitutional right against compelled self-incrimination was not at issue, its ruling is understandable; indeed, the outcome was required by binding case law. See Ga. Const. of 1983, Art. VI, Par. VI, Sec. VI (“The decisions of the Supreme Court shall bind all other courts as precedents.”). But we have now overturned that case law because it erred in stating that breath tests do not implicate the right against self-incrimination. Paragraph XVI protects against compelled breath tests and affords individuals a constitutional right to refuse testing. Nevertheless, the trial court’s ultimate conclusion that Olevik was not compelled into submitting to the breath test must be affirmed. The court said it considered all the relevant factors to determine the voluntariness to consent to search, and these same factors are used in determining whether an incriminating act or statement was voluntary. The only consideration that Olevik argues the court failed to consider properly is the allegedly coercive and misleading nature of the implied consent notice. But we have already concluded above in rejecting his facial challenge that the notice, standing alone, is not per se coercive. Olevik identifies no other factors surrounding his arrest that, in combination with the reading of the implied consent notice, coerced him into performing a self-incriminating act. Indeed, Olevik stipulated that the officer’s actions were not threatening or intimidating. Because the reading of the implied consent notice is not, by itself, coercive, and Olevik has offered nothing else, Olevik’s claim must fail. Accordingly, we affirm the trial court’s order denying Olevik’s motion to suppress and affirm his convictions. 1. Olevik also was found guilty of DUI per se, but the trial court merged this count into the DUI less safe count. 2. In Strong, we considered a defendant’s challenge to the police’s withdrawal of a blood sample from the defendant while he was unconscious on two grounds: (1) unreasonable search and seizure and (2) violation of the right against compelled self-incrimination. As to the first ground, we concluded that the warrantless search was proper as a search incident to an arrest, and even if the defendant was not under arrest, the “evanescent nature of alcohol in the blood” supported the extraction. Strong, 231 Ga. at 518, 202 S.E.2d 428. As to the second ground, we concluded that extracting blood did not cause the defendant to be a witness against himself under the Fifth Amendment and “similar provisions of Georgia law,” approvingly citing cases to the effect that the removal of evidence from a defendant’s body does not implicate his right against compelled self-incrimination. Id. at 519, 202 S.E.2d 428. The holding as to the first ground is not good law, as these more recent decisions have explained. Nothing we say here should be understood as casting any doubt on Strong’s self-incrimination holding. 3. We have said that because Paragraph XIII contains the same language as the Fourth Amendment, it “is to be applied in accord with the Fourth Amendment.” See Williams, 296 Ga. at 818 n.5, 771 S.E.2d 373. But interpreting Paragraph XIII in a manner consistent with the Fourth Amendment does not mean that our interpretation of Paragraph XIII must change every time the Supreme Court of the United States changes its interpretation of the Fourth Amendment. “Questions of the construction of the State Constitution are strictly matters for the highest court of this State. The construction of similar federal constitutional provisions, though persuasive authority, is not binding on this State’s construction of its own Constitution.” Pope v. City of Atlanta, 240 Ga. 177, 178 (1), 240 S.E.2d 241 (1977). State constitutional provisions may, of course, confer greater protections than their federal counterpart, provided that such broader scope is rooted in the language, history, and context of the state provision. See Grady v. United Govt. of Athens–Clark Cty., 289 Ga. 726, 731 (2) (b), 715 S.E.2d 148 (2011). In the same way, a state constitution may also offer less rights than federal law, so long as it does not affirmatively violate federal law. See Massachusetts v. Upton, 466 U.S. 727, 738, 104 S.Ct. 2085, 80 L.Ed.2d 721(1984) (Stevens, J., concurring specially) (“The state’s law may prove to be more protective than federal law. The state law also may be less protective. In that case, the court must go on to decide the claim under federal law, assuming it has been raised.” (citation and punctuation omitted)); Malyon v. Pierce County, 131 Wash.2d 779, 935 P.2d 1272, 1281 n. 30 (1997) (noting “that the level of protection of rights under the state constitutions can be the same as, higher than, or lower than that provided by the federal constitution” (citation and punctuation omitted)). Real federalism means that state constitutions are not mere shadows cast by their federal counterparts, always subject to change at the hand of a federal court’s new interpretation of the federal constitution. See State v. Kennedy, 295 Or. 260, 666 P.2d 1316, 1323 (1983) (state constitutional rights were “meant to be and remain genuine guarantees against misuse of the state’s governmental powers, truly independent of the rising and falling tides of federal case law both in method and in specifics”). 4. Or worse, it would be an invitation for judges “to read their own policy preferences into the law, as we all believe that our own policy views are wise and reasonable, which tempts us to assume, consciously or unconsciously, that the legislature could not have intended differently.” Merritt, 286 Ga. at 656, 690 S.E.2d 835 (Nahmias, J., concurring specially). 5. At the time of the 1877 Constitution, the word “criminate” was defined as “[t]o accuse or charge with a crime; to impeach.” Noah Webster, A Dictionary of the English Language 98 (1878). This is the same meaning that “incriminate” had at the time our 1983 Constitution was adopted. See Webster’s New World Dictionary 713 (2d College ed. 1980) (defining “incriminate” as “(1) to charge with a crime; accuse; (2) to involve in, or make appear guilty of, a crime or fault”). Although usage of “criminate” was common through the 19th century, the word has since become merely an archaic variant of “incriminate.” See Bryan A. Garner, A Dictionary of Modern American Usage 366 (1998). And notes from the drafting of the 1983 Constitution also reflect this understanding. See Select Committee on Constitutional Revisions, 1977-1981, Transcript of Meetings, Committee to Revise Article I, meeting of the Subcommittee on Origin and Structures of Government, October 26, 1979, pp. 33-34. 6. There is no indication that “testimony” had a substantially broader definition in 1877. See Noah Webster, A Dictionary of the English Language 434 (1878) (defining “testify” as “[t]o make a solemn declaration; to establish some fact; to give testimony” and “[t]o witness to; to affirm or declare solemnly, or under oath”). 7. In its well-researched briefing, the State points us to comments made by John Matthews Guerard, a delegate to the 1877 Constitutional Convention, in proposing the self-incrimination provision. The State focuses particularly on Guerard’s statement that the provision would ensure that, at trial, a citizen “shall not be compelled to testify to anything tending to criminate himself.” Because Guerard used the term “testify,” the State argues, he meant for the self-incrimination provision to apply only to testimony. 8. Given our conclusion in Brown that compelling a defendant to provide a handwriting exemplar violates the defendant’s right against self-incrimination under the Georgia Constitution, the Court of Appeals’ earlier decision in Davis v. State, 158 Ga. App. 549, 552 (5), 281 S.E.2d 305 (1981), that compelled voice exemplars do not violate that right seems something of an outlier. But the continued validity of Davis is not before us today. 9. It is important to recognize that while these situations do not implicate the right against compelled self-incrimination, the taking of physical evidence from a suspect often will constitute a search under the Fourth Amendment and Paragraph XIII, for which a warrant or an exception to the warrant requirement, such as consent or search incident to arrest, is required. 10. Given their inapplicability, we do not consider whether Green and Robinson were rightly decided. 11. See, e.g., Sauls v. State, 293 Ga. 165, 167, 744 S.E.2d 735 (2013); Cooper v. State, 277 Ga. 282, 290 (V), 587 S.E.2d 605 (2003); Lutz v. State, 274 Ga. 71, 73 (1), 548 S.E.2d 323 (2001); Fantasia v. State, 268 Ga. 512, 514 (2), 491 S.E.2d 318 (1997); Oliver v. State, 268 Ga. App. 290, 294 (2), 601 S.E.2d 774 (2004); State v. Coe, 243 Ga. App. 232, 234 (2), 533 S.E.2d 104 (2000); State v. Lord, 236 Ga. App. 868, 870, 513 S.E.2d 25 (1999); Nawrocki v. State, 235 Ga. App. 416, 417 (1), 510 S.E.2d 301 (1998). 12. Although Olevik cites both federal and state constitutional due process provisions, he does not argue that they offer different protections or that his claims are to be analyzed differently in this context. 13. To the extent Olevik argues that we should impose a Miranda-style prophylactic rule to protect suspects’ Paragraph XVI rights (rights the scope of which, as we have explained, were well-established long before the Supreme Court’s decision in Miranda), he does not point us to a single decision of this Court or any textual or historical basis supporting such a step. In the absence of a more complete argument, we decline to address this issue. 14. The General Assembly may wish to amend the implied consent notice statute; if it does, among the changes it may consider would be a clearer explication of the right to refuse testing, and a more accurate articulation of the likelihood of license suspension. If you refused a Breath Test, after DUI Arrest, or Submitted, Call Us! Breath testing in Georgia is in a turmoil, due to the defective implied consent notice. 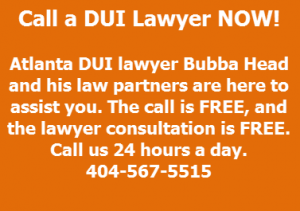 If you were arrested for a DUI in Georgia — anywhere in GA — call our DUI law firm for GUIDANCE on how to protect your legal rights. One of our criminal justice attorneys can represent you, or we will REFER you to a known DUI expert attorney in your part of the State. 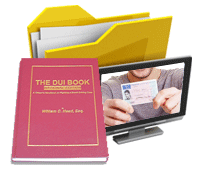 Call a DUI lawyer at our criminal defense attorney law firm and get immediate help. Ask for Larry Kohn, Cory Yager, or William C. Head at 1-888-384-4323 or 404-567-5515. If you decide to hire our law firm, we offer DUI attorney payment plans available. 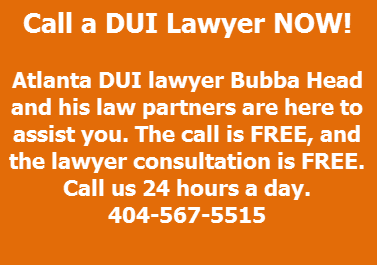 Call 41-year veteran Atlanta DUI attorney Bubba Head today and get honest answers to all your DUI law questions. 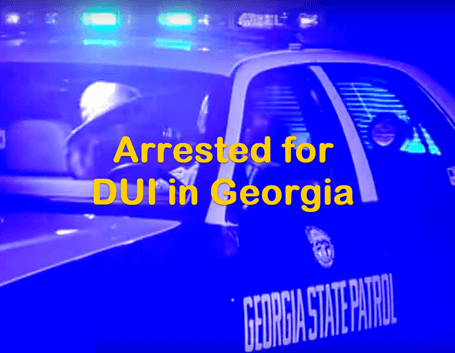 Tell us everything that happened and everything you remember about your GA DUI arrest. 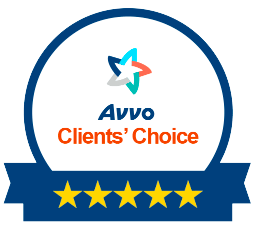 The sooner you call our law firm, the better chance we have to win your case.